This one is a shocker. 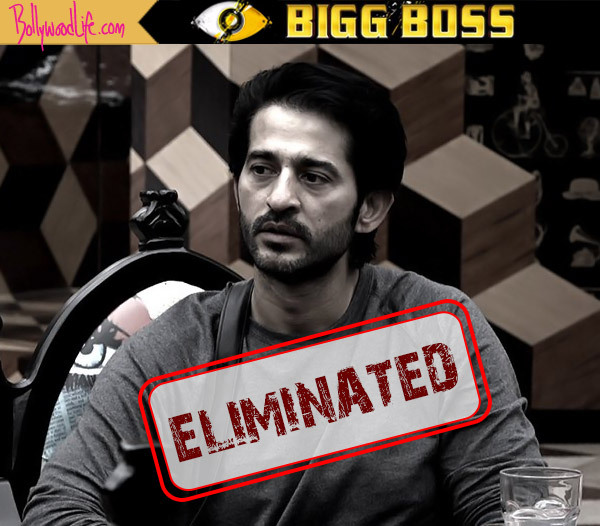 Hiten Tejwani, who was nominated along with Shilpa Shinde, Priyank Sharma and Luv Tyagi this week has been eliminated from Bigg Boss 11. Yep! Many were expecting Luv to walk out of the Bigg Boss house this weekend. In fact, when we ran a poll asking who out of these four should be eliminated from Bigg Boss 11 this week, majority of our readers voted for Luv. But then universe has its own ways, right? So Luv gets to stay inside the house and continue to compete for the trophy along with Shilpa, Vikas Gupta, Arshi Khan, Priyank Sharma, Puneesh Sharma, Akash Dadlani and Hina Khan. Talking about Hiten’s journey on the show, he is one of the few people, who has come out of the house with his dignity intact. The TV actor maintained his calm and proved it that being loud is not the only way to get ahead in the game. Of course, his docile nature was criticised by some of his co-contestants. According to Hina, Hiten was playing on Vikas’ orders and she said it to him in front of everyone when she called him spineless during a task few weeks back. And how can we forget the moments between him and Arshi, who kept flirting with him throughout. It was nice to see Hiten’s reaction every time Arshi made a pass at him. And now that he has come out of the house, I am sure Arshi would be very sad. And so would be Vikas, Puneesh and Priyank, who got very close to Hiten on the show. It’s definitely quite sad that Hiten didn’t make it to the finale of Bigg Boss 11. What are your thoughts on Hiten’s eviction? Let us know in the comments below and keep watching this space for all the latest updates on Bigg Boss 11.